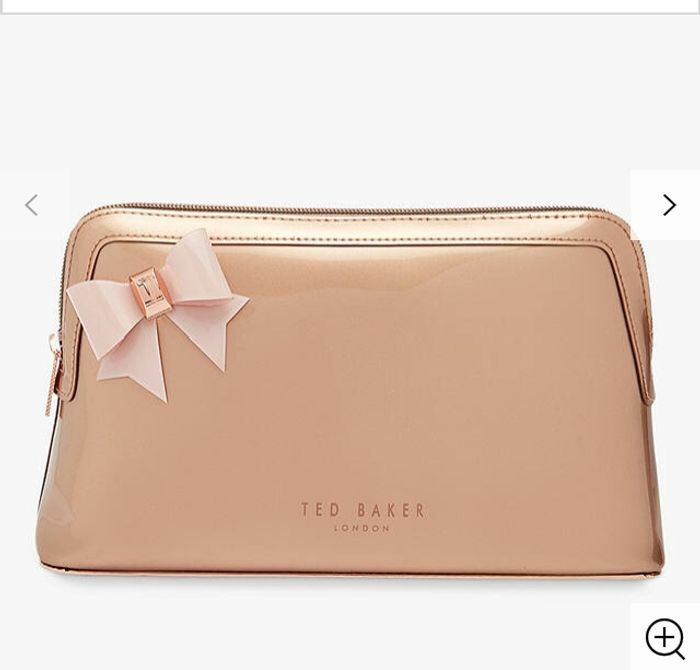 Transport your beauty essentials in style with this elegant Alley wash bag from Ted Baker. Featuring a pretty side bow decoration with branded hardware, the bag has a zip-top fastening with faux leather trims. Perfect for weekends and holidays away, or as a bathroom tidy. H15.5 x W27 x D8.5cm.